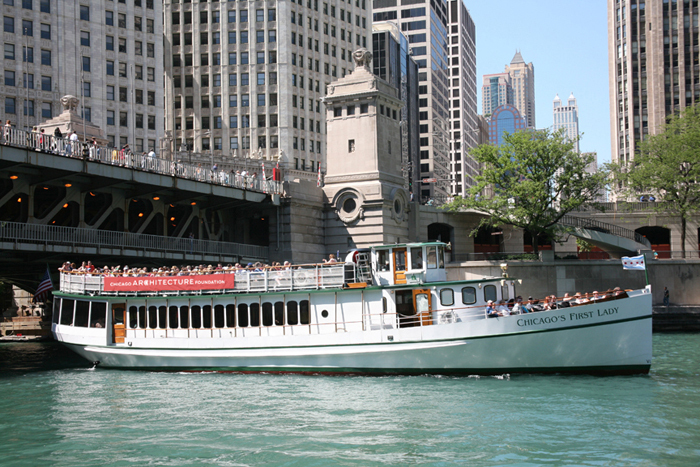 The Chicago Architecture Foundation River Cruise is a “must-try”. CAF guides docents—interpret more than 50 buildings along the Chicago River, revealing how the city grew from a small back-country outpost into one of the world’s most important crossroads in less than 100 years. Departing from the Wendella Dock at Trump Tower, an expert tour guide leads you through all three branches of the Chicago River sharing interesting information on Chicago’s architecture and heritage.